The sound of cleats clicking into a pedal, the squeeze of the brake handle, the sound of your rear hub spinning, and the smell of fresh grounded coffee beans, for us, they are all the pure essence of "cycling". The worlds of cycling and coffee perfectly mix together as no ride is complete without a café stop, before/during/after the ride, the more the merrier. Science is still searching for the reason why that cappuccino you shared with your mates simply tastes better, or why that sudden spike of extra 450 watts in your power output after that strong, sharp espresso you knocked back prior to that hard training session. We all know that golden leaf on every cappuccino (called the "Rosetta") that symbolises perfection and the perfect latte art. 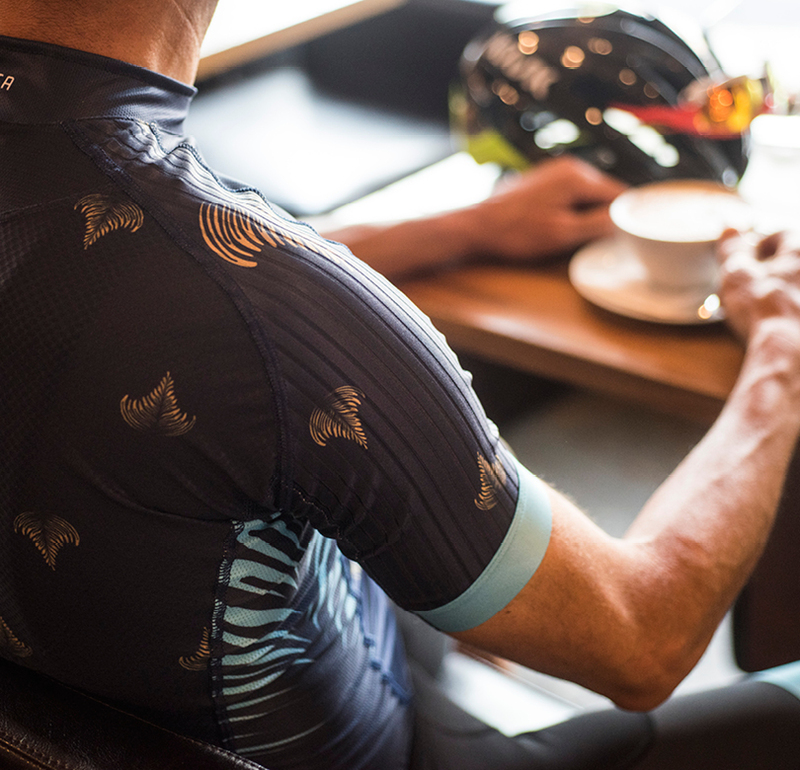 The Rosetta kit is our tribute for the importance of coffee in a cyclist world, its social and performance aspects, the golden leaf and to the divine combination between cycling and delicate barista art. We absolutely LOVE our coffee, it gives us that extra push after a long climb, and it's simply the essence of a good times with our beloved machines and friends. 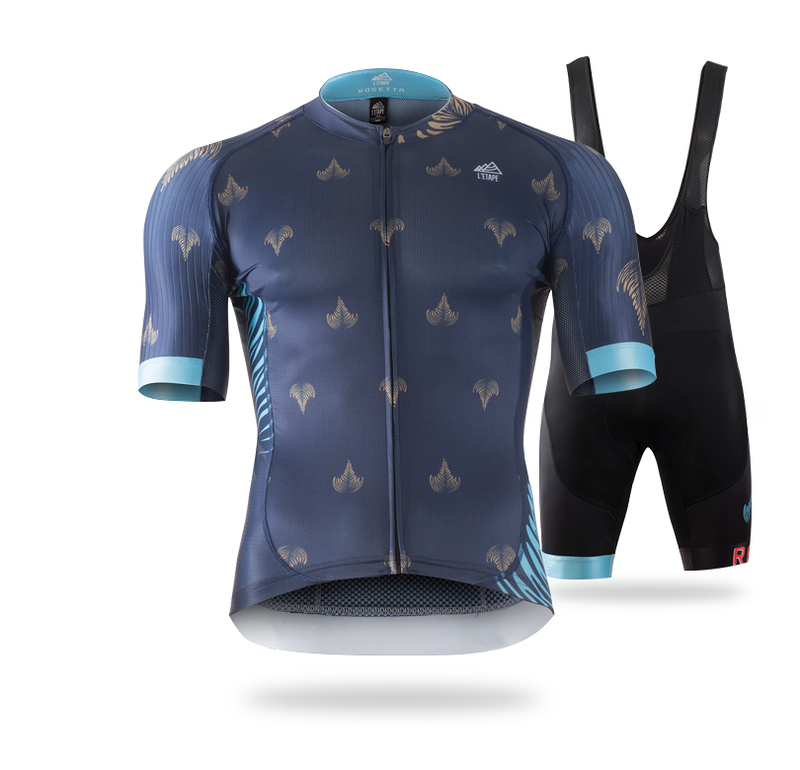 What's better than putting on your Rosetta kit and celebrating your love to the mix of the golden nectar and the fun of cycling?